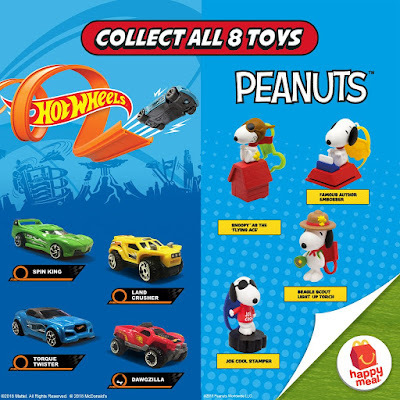 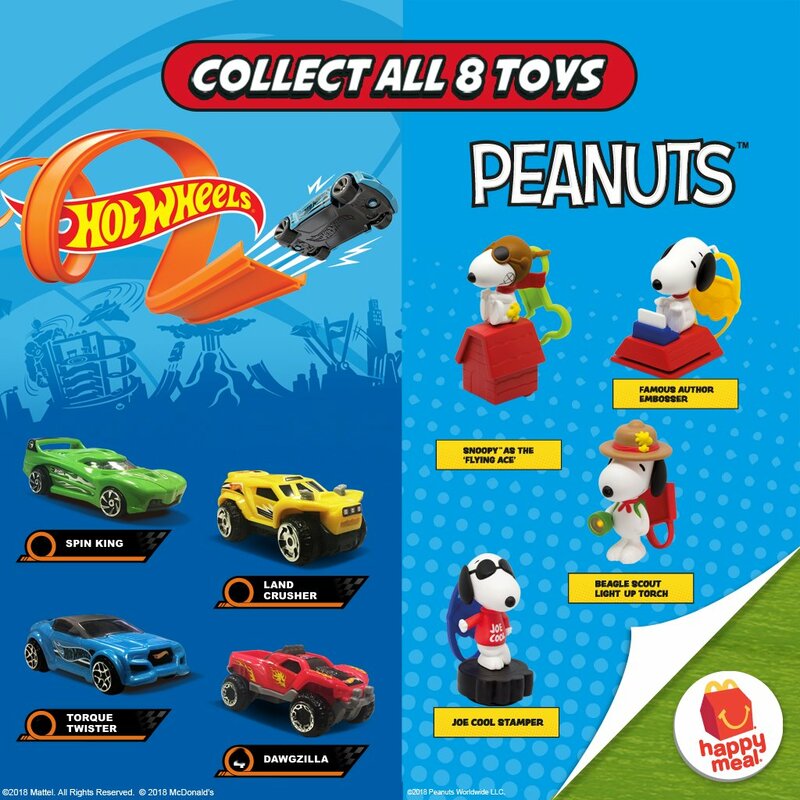 It's fun all around with 8 NEW Happy Meal toys -- Hot Wheels and Snoopy! 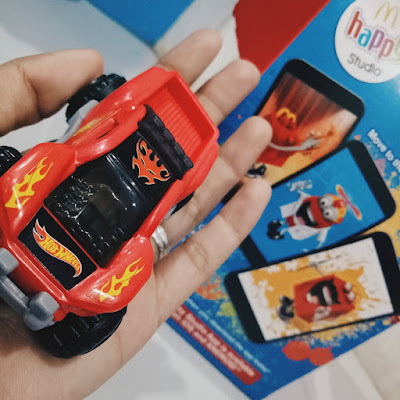 Race to McDonald's to get 'em all now! 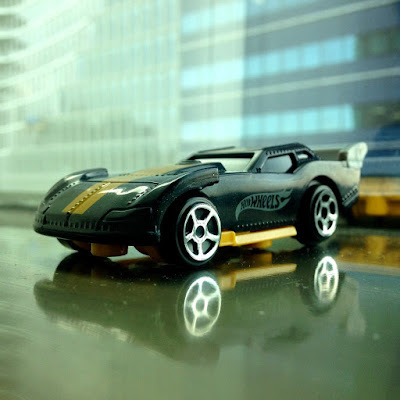 Yellow, blue, green, red—do you have all four cars yet? 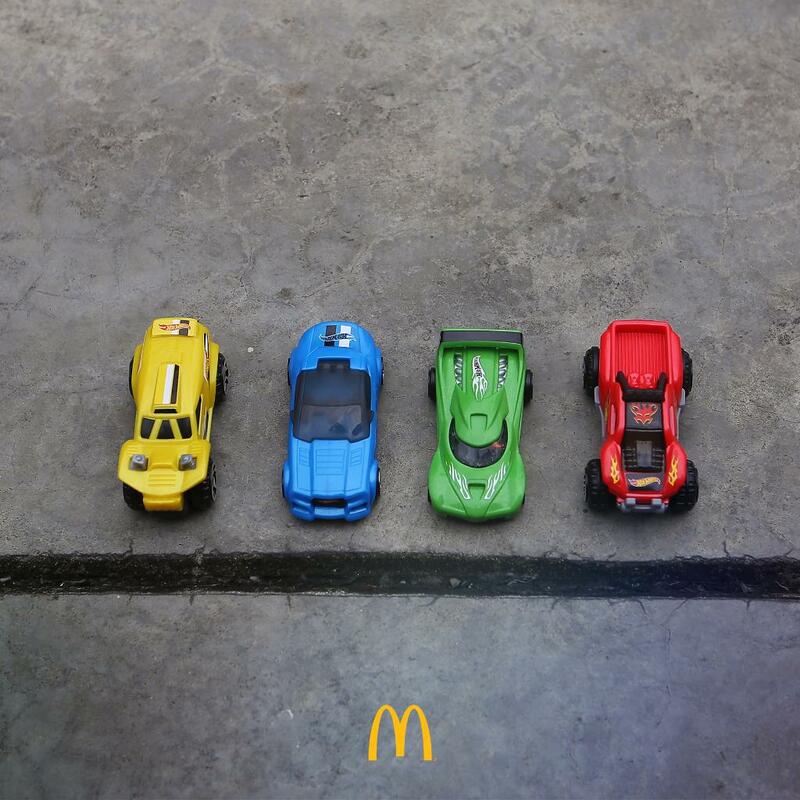 Drive down to McDonald’s to get a Happy Meal and collect all four! One, two, three, four—that’s one Snoopy toy for mama, papa, you, and me! 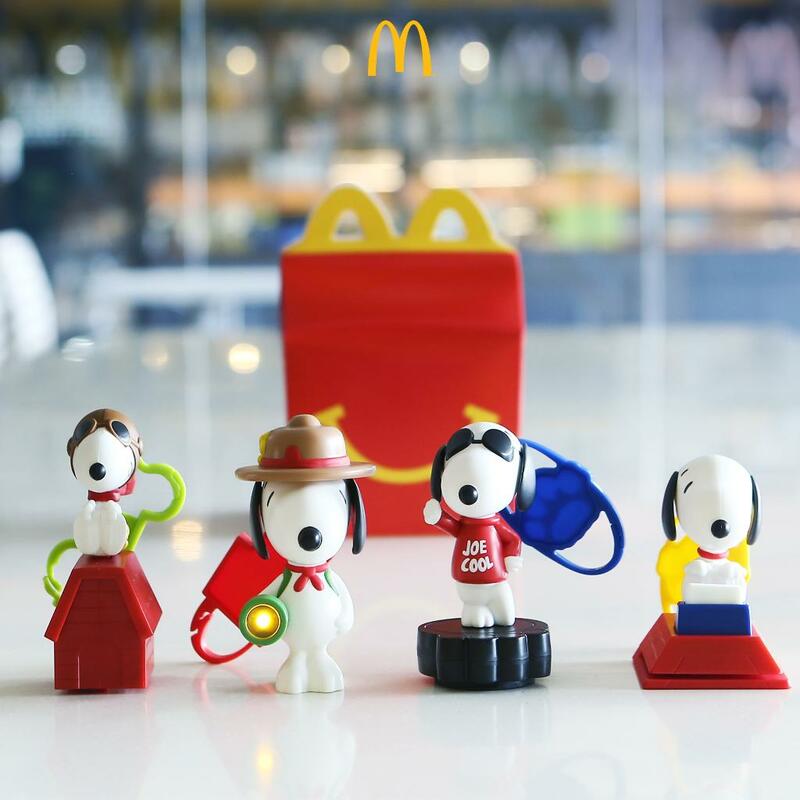 Head on over to McDo to collect all four with your Happy Meal!